We delved deep into the legend of the old Kőszeg brewery in 2016 and rediscovered the brewery’s signature style, all but forgotten in the past nearly one hundred years, in a specialty beer hardly known even in Europe, Vienna Lager. And now we’ve brewed it for you to enjoy today! Wine has dominated in Kőszeg since the Middle Ages, but beer has also played an important part in locals’ lives. It was most often brewed in individual households for family consumption. During the 19th century, most local brasseries served Austrian and Czech beer. Industrial beer production appeared in Western Hungary by the end of the 19th century, due to an increase in demand. Three larger breweries were founded around this time, in Nagykanizsa, Sopron and Kőszeg. The Kőszeg Civil Brewery was founded in 1894, although it only began producing beer two years later in 1896. The first brew debuted on 9th May 1896. After this, pubs and brasseries began to serve the high quality beer. The brewery’s “Herkules” beer also won international acclaim in Trieste (1898). Alas, the beerworks ultimately fell victim to history’s relentless fury. The Second World War swept the brewery away, along with all the secrets of its trade. 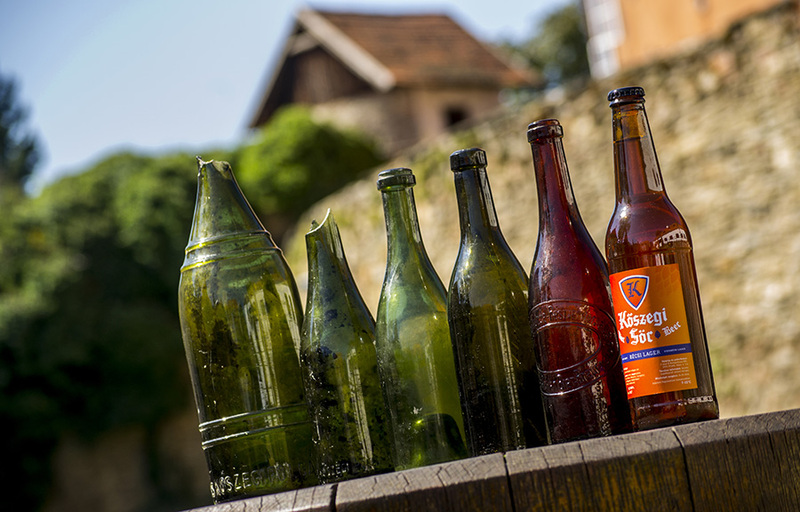 In the decades that followed, the Kőszeg brewery and its beer fell into oblivion: a few postcards, photographs and an empty bottle or two were all that remained. Locals speak of the old brewery as a thing of legend, but even that memory is gradually fading. Most of the younger generation have never even heard of the erstwhile Kőszeg brewery and its once celebrated beer. Kőszegi Beer - 2016 “A legend returns"
Kőszeg-born marketing expert András Kiss was intrigued by the stories of Kőszeg’s beer and set out to explore the legend. During his research, he was assisted by several experts (including retired head archivist Dr. István Bariska and master brewer Krisztián Kovács, as well as a number of locals). 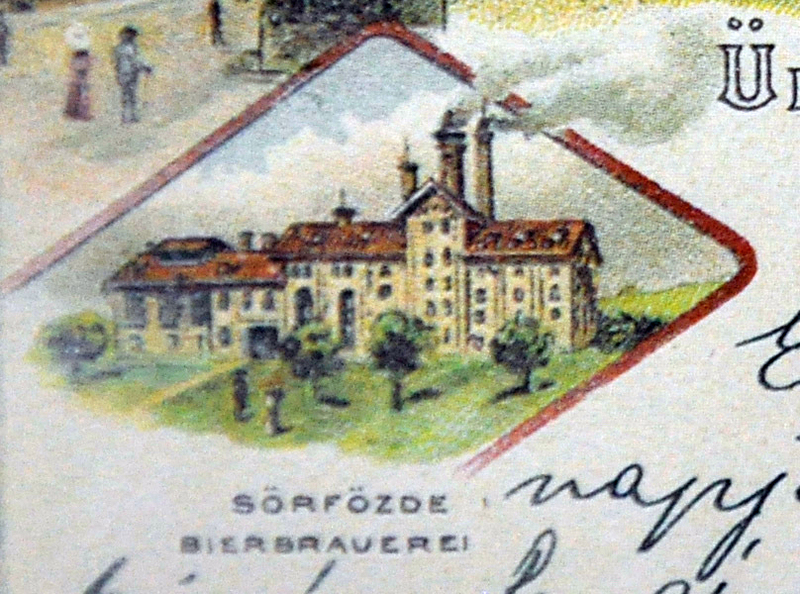 Based on the information gathered, they reached the conclusion that the beer once brewed in Kőszeg had most likely been a lager of the Vienna variety. This is a rare kind of lager beer which has since disappeared from the market almost entirely. In creating Kőszeg Beer, András is striving to make a rare European beer - a traditional Kőszeg flavor - available once again. This will contribute to expanding Kőszeg’s portfolio of high quality products and gastronomy. The beer bearing the town’s name will hopefully gain popularity locally as well as abroad. 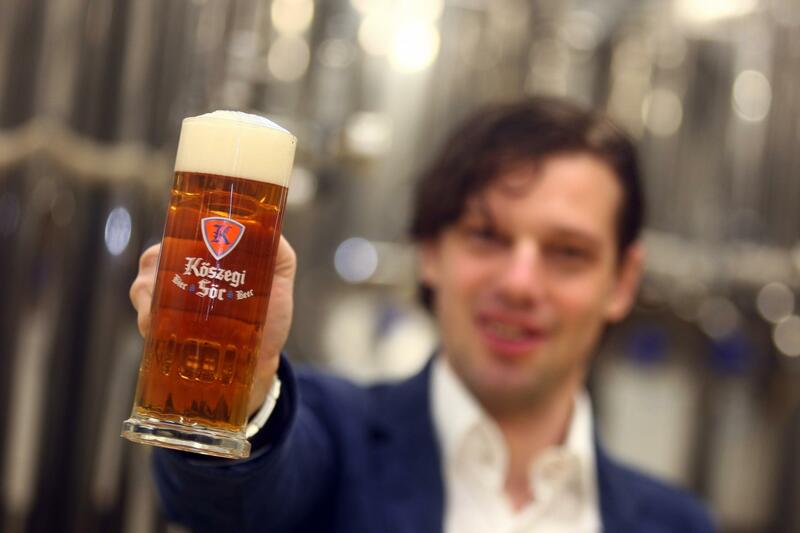 The first Kőszegi Beer brew debuted on 29th April 2016 in the town’s largest and oldest bastion, the Zwinger. What makes this date particularly special is that the erstwhile Kőszeg brewery premiered it first beer on 9th May 2016, a round 120 years ago, almost to the day. Kőszegi Beer Classic is a Vienna-style lager, which is a rare, nearly forgotten variety of lager beer. This type of beer has all but disappeared from European markets. On the old continent, this beer specialty is only sold by a smattering of smaller craft beer breweries and cannot be found in any industrial beer manufacturer’s portfolio. There are basically three main kinds of lager beer, two of which have become widely popular: the Czech (pilsner) variety and the German type. The third variant, Vienna Lager (Anton Dreher’s masterpiece) has mostly disappeared from the market, possibly due to the dissolution of the Austro-Hungarian Monarchy. A curious twist of fate carried Vienna Lager into exile all the way to Central America, primarily Mexico. Locals there grew fond of the type and drink it even today. This is how Vienna Lager weathered the storms of history, preserved for the ages. Mexicans got to know and became fond of it thanks to a curious twist of fate, preserving the beer for posterity. Kőszegi Beer’s mission is to make this long-lost specialty beer widespread, available and popular once again. Bottoms up - get a taste of history today! get a taste of Kőszegi Beer.